Trump Considers Returning Moscow’s Facilities in the U.S. Despite Russia Probe, Trump Considers Returning Moscow’s Facilities in the U.S.
Upper Brookville, the former Russian compound in Oyster Bay, New York. Reports that Trump adviser/son-in-law Jared Kushner pursued a secret back channel with the Kremlin dominated the headlines over Memorial Day weekend. Then on Wednesday the House Intelligence Committee issued subpoenas to two of Trump’s close associates, his longtime personal lawyer Michael Cohen and former national security adviser Michael Flynn. A few hours later, CNN reported that congressional investigators are looking into whether Attorney General Jeff Sessions may have had an additional private meeting with Russian ambassador Sergey Kislyak that he failed to disclose. 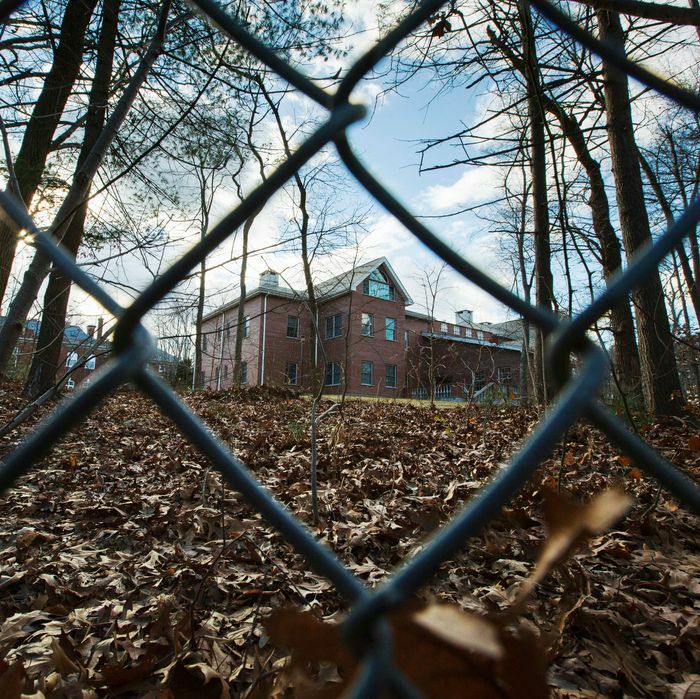 Russia claims the compounds were merely places where its diplomats could relax and hold events, though U.S. officials have suspected they were also used for intelligence purposes since the ’80s. The compounds had diplomatic immunity, but that may be revoked if they’re returned by the Trump administration. In response to the report, R.C. Hammond, senior communications adviser for the State Department, said, “The U.S. and Russia have reached no agreements.” Officials from the two countries will meet again in June in Saint Petersburg. If Trump does decide to return the Russian facilities, it would send a clear signal that he doesn’t care if people think he’s under Russia’s influence. That could be seen as evidence that Trump is so beholden to Russia that the political cost doesn’t matter. Or perhaps Trump officials just couldn’t pass up an opportunity to reverse a policy implemented by President Obama. “We had no intention of ever giving them back,” said a former senior Obama official.